45 pieces of 12" x 12"
30 pieces of 12" x 18"
20 pieces of 12" x 24"
20 pieces of 18" x 18"
Amtico's inspirational designs innovatively combine texture, color and pattern to create a vibrant product ideal for expressing any design vision. Our diverse product designs are available in wood, stone and abstract. Technically advanced in construction, Amtico is a durable flooring option boasting a 40 mil wear layer that is ideal for high traffic areas. The flooring features five layers: a tough urethane treatment layer; a slip-resistant layer; a dense wear layer that protects against dents and stains; a color layer of digitally enhanced high-definition aesthetic imaging; and a strong backing. The flooring system provides exceptional resistance to scratches, scuffs, stains, and indentations. 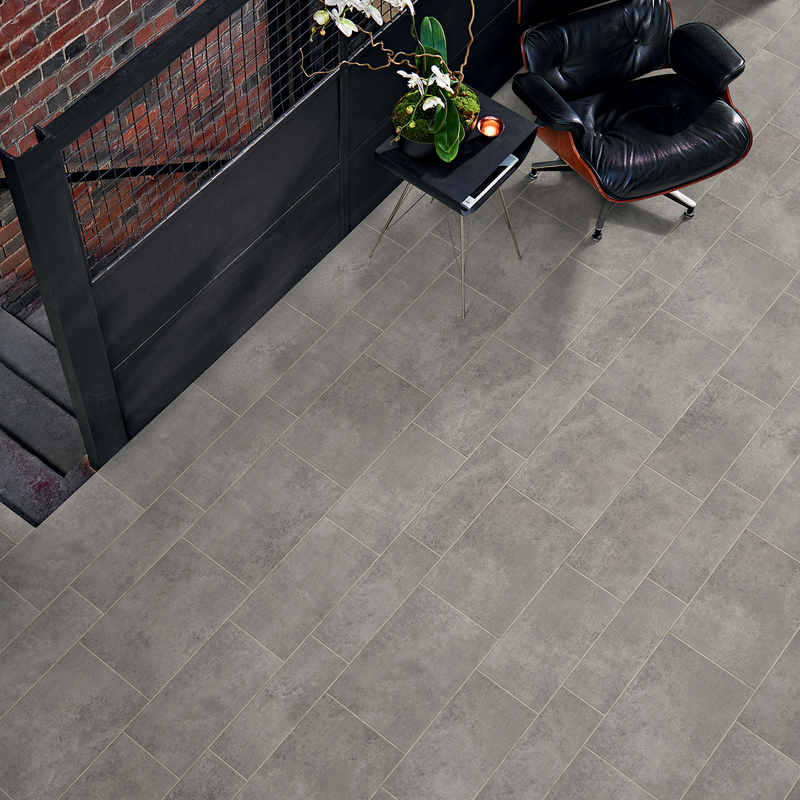 The Amtico Collection is backed by a 20 Year Commercial Warranty. Floors will not chip, crack, warp or yellow like many natural surfaces.With Amtico you have the opportunity to create a truly unique floor. Limited only by your imagination, we can provide a Custom Design Service, utilizing many of the products in our portfolio. Be bold! Creating your personalized custom design couldn't be easier. View product brochure for additional information.